NOTE: Your opinion is very important to us. Use tab “Comments” in top of the page to write your comment/review/feedback, if you have any experience with "FXOxygen forex EA ! NOTE: it is a martingale EA hence not safe! FXOxygen – Foex Expert Advisor. One of the things that catches your eye when you look at Fx Oxygen EA is the 100% return per month claim. This is a very high return and every traders dream, i.e. doubling ones equity every month. Fx Oxygen EA operates using two modes; the secure mode and the aggressive mode aimed at high profits within a short period of time. It is also newbie friendly since everything including money management is automated by setting the parameter, Auto_lot to true. Though the recommended deposit for Fx Oxygen EA is $1000, it can still be tested on small accounts by opening them as micro account and enabling the micro trading feature in the EA. Since not much of the trading strategy is disclosed by the developer, let us look at past performance to analyze Fx Oxygen EA better. Trading Style – Not disclosed. Forex pairs – EURUSD, USDJPY. We will look at both backtests and live performance of Fx Oxygen EA. 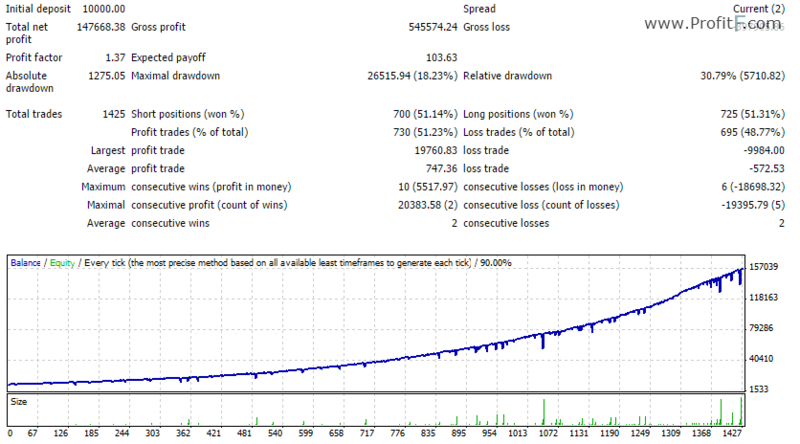 Backtests have been done using both the secure mode and the aggressive mode to boost profits. The aggressive backtests show a return of over 19000% from January, 2014 to July, 2015. The EA also shows a win rate of 91.19% over that period of time. On the other hand, the secure mode of the same EA shows only a 1476% return from January, 2006 to July, 2015. The two modes conflict in that the secure version shows a way less win rate of only 51.23%. This is unexpected since apart from the money management, the two modes utilize the same strategy. The developer has performed backtests with only 90% data modelling quality as opposed to the standard accepted quality of 99%, hence, backtests performance can be expected to vary from live trading performance. Fx Oxygen EA is ECN compatible as observed by how it modifies its trades to place the stoploss and takeprofit levels after the initial trade has already been executed. Now let us look at FxOxgyen’s live trading performance as verified by myfxbook. The developer has a real money account with track record and trading privileges verified. The account is also up to date. 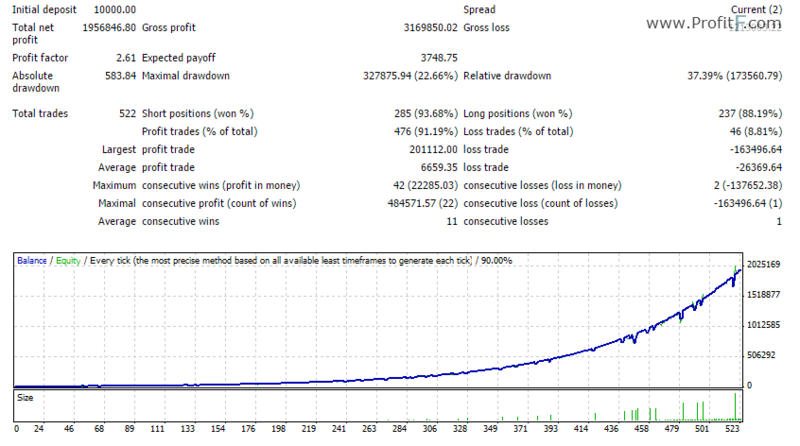 Fx Oxygen EA live account performance shows a return of 1170.28% with a drawdown of 36.33% since January, 2014. This accounts for over 30 months of live account testing. Looking at the USDJPY trades, you will see that the first loss had a lot size of 0.30, after this a second trade is 0.60 lots (2X the first trade). After the second trade closes at a loss, the third trade on USDJPY is 2X the second i.e.1.20 lots. It is also important for the prospective user to note that Fx Oxygen will not make 100% per month as stated by the developer since this has not been experienced in live performance. 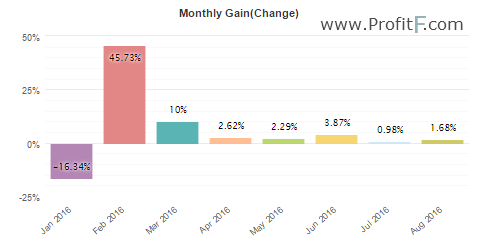 The highest performing month since January, 2014 only showed a 45.73% return. Please post comment/review about FXSplitter, if you have any experience with this forex exper software!